A group of cardroom employees will voice their opposition Tuesday to regulations proposed by the state’s Bureau of Gambling Control they claim will harm their businesses. The bureau is considering placing regulations on blackjack-style and other so-called player-dealer games that supporters say violate state law. Cardroom employees say the regulations will cause activity and job numbers in the state’s cardrooms to plummet. Current state law prohibits non-Indian casinos and cardrooms from collecting money directly from losing players. Cardrooms work around state law by using third-party businesses to serve as a banker in card games and pay and collect money from players. 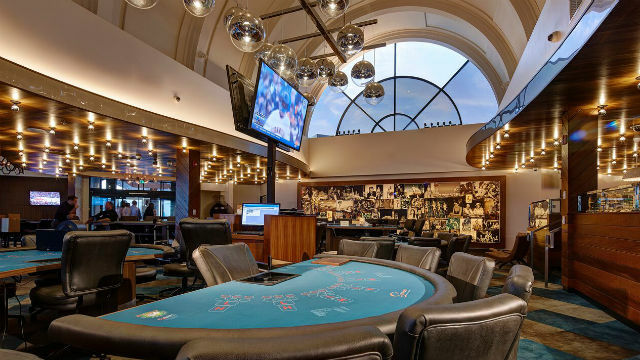 Without the benefit of collecting money from losing players, cardrooms collect a fee from players for each hand they play, a system that Indian casinos argue infringes on their exclusive right to collect money from card games. The Rincon Band of Luiseno Indians and the Santa Ynez Band of Chumash Mission Indians jointly filed a lawsuit in November 2018 arguing as much against a group of cardrooms around the state. The bureau’s public workshop on the matter will begin at 9 a.m. at Cal State San Marcos’ University Student Union at 333 S. Twin Oaks Valley Road. The bureau plans to hold subsequent public hearings around the state through March.